We must all have met people who are such concentrations of energy that the question that comes to mind is ‘How do they find more than 24 hours in each day?’ When I met David Renton recently, that was exactly where my thoughts travelled. But to begin at the beginning. Sports writing is a difficult pursuit and is not generally noted for its outstanding literary merit. There are, fortunately, a few exceptions in the athletics sphere. To begin a book with the words ‘The first man I saw run, really run, was Jack London’ is the mark of a skilled and imaginative writer and W. R. Loader did just that in Testament of a Runner. Another who displayed impressive command of descriptive language was the prodigious F.A.M.Webster whose pen-pictures of past athletes are arresting and vivid. Then one who doesn’t seem to have received due praise, in my view, was Sam Ferris whose long series of articles on road running events for Athletics Weekly in the decades after World War 2 were so compelling that one can almost hear the patter of the plimsoll soles on the tarmac. Let us now add the name of Renton which will almost certainly be unfamiliar to readers of this journal. David Renton is an Eton College-educated, London-based Barrister with political views which place him on the Left. But, in his book Lives;Running the reader will get little of powdered wigs or manifestos for change. What you will get is a fine read by a man who loves his running and communicates its joys and pains in a way which will stimulate even those whose interest in sport is limited. But he is more than that. He has published around a dozen books on a range of topics, he has consuming interests in sports, social and family history, he is a family man with two small children and he holds down a demanding job. The first words in this book I have a short stilted stride. I do not stretch, rather I scuttle like a club–footed beetle tell us that here is a man who accepts his limitations but is not discouraged from the challenges of seeking physical and mental fitness through running. In fact, Renton’s family background shows a strong sporting tradition. His grandfather competed for his college at Oxford University at cricket, cross-country, football and rugby. His father was accomplished at rowing. Renton himself was to achieve 1:59.7 for 800 metres whilst still a schoolboy. Then, after a break from running which lasted for 8 years, he returned to the sport and combined it with cycling. Eventually he entered the London Marathon where he battled to even finish but recorded 4 hours 24 minutes. Renton devotes a great deal of space in the book to recalling the rivalry between Sebastian Coe and Steve Ovett. This section is wonderfully evocative of a time when British middle-distance runners dominated the world. Renton reminds us that the rivalry was so intense that even athletics supporters (and indeed many people outside the sport) were either for the majestic Coe or cheered for the down-to-earth Ovett. The author makes no secret of his partiality when he writes after the 1500 metres in Moscow [the 1980 Olympic race] Coe asked his rival ‘Where did you finish’. It was only with Ovett’s reply that he had finished 3rd did Coe relax. Yet on the occasions when both athletes lost, Ovett could be seen comforting the younger man. He continues It was that capacity for warmth, sympathy and human solidarity which represented for me Ovett’s victory. I find it difficult to argue with that personal judgement. Whether that made Ovett the better athlete is another question. David Renton’s own view is that there was little to choose between them in innate athletic ability. What he concludes is that their personal backgrounds indelibly shaped the athletes they became. As is well known, Coe was guided closely by his father who made no secret of his determination to mould his son into a high achiever after the boy had failed his 11+. Coe senior believed that hard work paid dividends. But then so did Ovett’s family, successful market traders in Brighton. But is was certainly always my impression that the atmosphere in the Ovett household may have been more relaxed that that at the Coe’s. Whatever, their sons grew into very different human beings. Renton goes on to describe how he again stopped running after he became a father, only returning to the activity in recent times when past his 40th birthday. Good for him. He writes of what running means for him With just a few other pleasures, running is part of my nature. It is something I could barely exist without. I run to feel the air cool and my body warm. Running has repeatedly surprised me, it has shaken me out of the torpor of daily living. Besides the London Marathon, Renton has tackled a whole series of half-marathons including in Hackney and Oxford and has no intention of cutting back on his efforts. A few hours with David Renton is unlikely to leave you feeling bored as I discovered on a recent Sunday afternoon in north London. His conversation ranges over topics so far and wide that one cannot avoid being mentally stimulated. On the sport of track and field athletics I put to him my feeling that, whilst professionalism is to be welcomed because it has broken down barriers of class and wealth which featured heavily in the early years of the sport, that a negative effect had been a concentration on elite athletes to the detriment of the everyday club athletes. Renton doesn’t necessarily go along with that view and points out the enormous numbers of people of a wide-age range who have taken up road running in recent times and have found their lives transformed. He also points to the large numbers of runners in the National Cross-country Championships. He has written that competing in road races with runners of both great abilities but also those of more limited accomplishments, as measured by results on paper, gives him a feeling of being part of a social movement. As someone who has participated in a few road runs in his time (rising to the level of spectacular mediocrity) I certainly concur that the overriding emotion is of camaraderie. His view of competition is that it is as much about competing against oneself as against other people. The targets for many runners and joggers are personal. Although, as Renton, admits with a smile, it is a pleasant feeling to beat the bloke who finished in front of you on the last occasion. 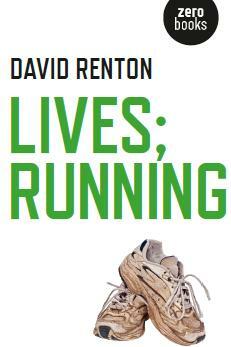 David Renton’s views on track and field today are largely positive and formed by his enthusiasm for running. In response to my question about the decline of the influence of clubs in the sport, he stressed that he was more concerned about the serious decline of green spaces and playing fields associated with schools. ‘After all’, he comments, ‘that is where the culture of fitness and challenge is first nurtured’. Likewise he does not see the overwhelming superiority of African athletes in distance events at international level as a problem but prefers to view it as an incentive to other runners to re-double their own strivings. It was no surprise to learn that he has a special interest in (and has written about), the ‘Workers Olympics’ which flourished in the years before World War 2 and saw celebrations between 1925 and 1937 in Austria, Belgium, Czechoslovakia and Germany. He has also written a book about C.L.R. James, the Trinidadian radical whose own cricketing book Beyond a Boundary regularly appears in lists of ‘The Greatest Sports Books Ever’. A different sport, but similar human sentiments apply. Naturally, I was delighted when David Renton mentioned the name of the great Alf Tupper and obviously knew all about the welder from Greystone. The ‘tough of the track’ remains one of the greatest athletes of all time and, if you’re looking for one of John Lennon’s ‘working-class heroes’, is up there with Jack Holden, Ethel Johnson and Arthur Rowe. Had Tupper tangled with Coe and Ovett we may have witnessed a 3 minutes 20 seconds one mile! You won’t get many stats in this book. But if you value a stimulating and uplifting read, then it’s for you.